Description: A detail of the 1816 map "Map of the United States of America : with the contiguous British and Spanish possessions / compiled from the latest & best authorities by John Melish" showing the Spanish territory of Florida. This map shows coastal features, major lakes, rivers, and settlements. Relief is shown pictorially. 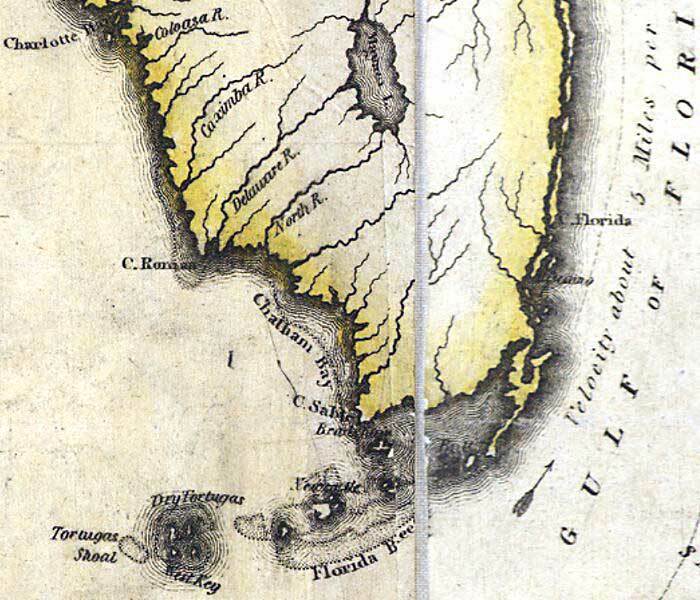 This detail shows the southern peninsula and Florida Keys. Various place names reflect English variations, such as Newcastle Key for Big Pine Key, Chatham Bay for Ponce de Leon Bay, and Mayaco Lake for Lake Okeechobee.